Twenty-six-old comes up with initiative to plug gap in home-based activities. 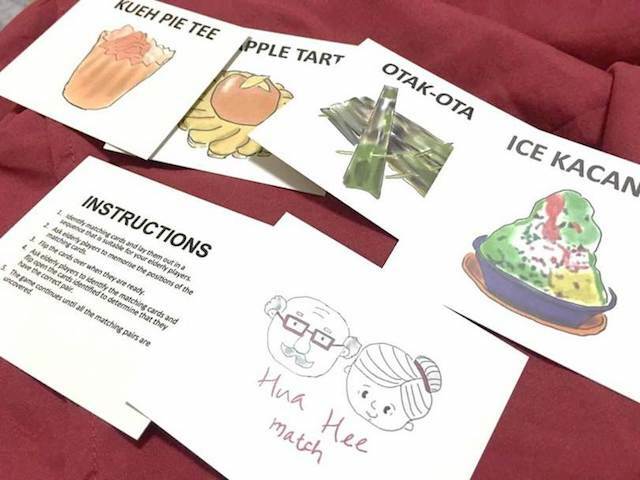 Vibrantly-coloured sketches of local kuehs such as kueh tutu, ang ku kueh and heritage items such as clogs, straw fan and tingkat form Hua Hee, an Indiegogo campaign that just went live. After experiencing the pain of dementia in the family, 26-year-old Christel Goh started drawing these icons that are unique to Singapore to develop a card game for seniors. 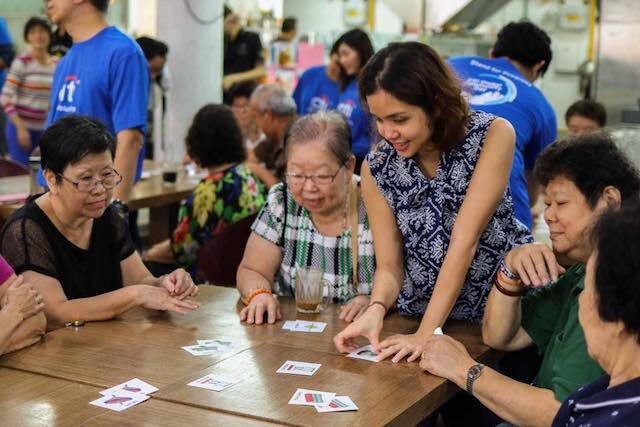 Hua Hee is a card game designed to fight dementia in Singapore and bring generations together. Hua Hee (in Hokkien, it means happy) can be played as a matching or snap game. According to the National Institutes of Health in the US, brain-training exercises can slow down dementia between 33 to 48 percent. Christel lived with her grandmother who seemed to forget certain things when she got older. She also had a grandfather who was diagnosed with dementia. Determined to keep her grandmother’s mind active, the family explored different ways to engage her grandmother such as colouring books, foods that boosts the memory, and exercises. Since then, Christel’s family has seen positive results in her grandmother’s memory as well as disposition. Christel noticed a lack of home-based activities to keep seniors engaged in Singapore and this led her to develop Hua Hee. “Watching a loved one age is difficult. You see them lose the ability to do things they once could. This sense of loss deepens when the elderly is diagnosed with dementia. I believe that there are others, just like my family, who are at a loss when dementia strikes. At home, before you lose someone to dementia completely, there are things we can do to slow down the progression of the mental illness,” said Christel. Positive response from the seniors. The Hua Hee Campaign is on Indiegogo from now to July 8, 2017. Both Hua Hee Match and Snap game packs are suitable for a group of two to four players and the card game decks range from US$4 to US$17. “I have tested this card game at elderly homes and received a positive response from elderly who were able to recognise some of the heritage items fondly. 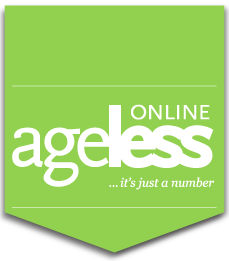 If I were to successfully hit my funding target of US$5,000, I hope to explore more ways to encourage elderly to pursue activities independently so as to help alleviate the stress placed on caregivers,” added Christel. The Hua Hee card game can be purchased from this link: http://bit.ly/2rdaBeg. Great write-up on Christel and her Hua Hee card game. Dementia people require stimulation to their brains to slow down the degradation.